April can be one of the most exciting times in the gardening year. You’re right on the cusp of starting to sow seeds in earnest and at least for me it’s a time for last minute changes and researching new gardening ideas. You’ll find that most gardeners are interested in trying new things but once years of experience are under your belt you settle into the rhythm of what you know works for you. 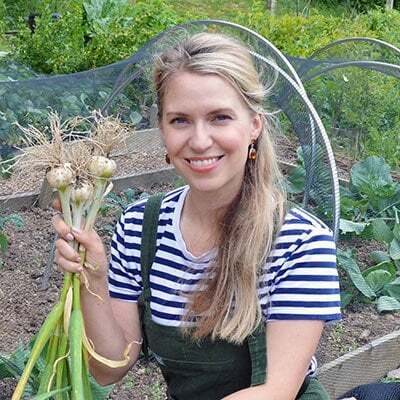 Getting to that point can be stressful, especially for the beginner so I and my friends at the Garden Charmers have put together some ideas to help both new and established gardeners to ‘Get Sowing’. Each grower has their own approach to growing the edible garden but there are a few guiding principles that can help you establish your own tried and tested approach and to experiment with new ideas. Before you make any major decisions on your own edible garden there are four main principles you’ll want to consider. 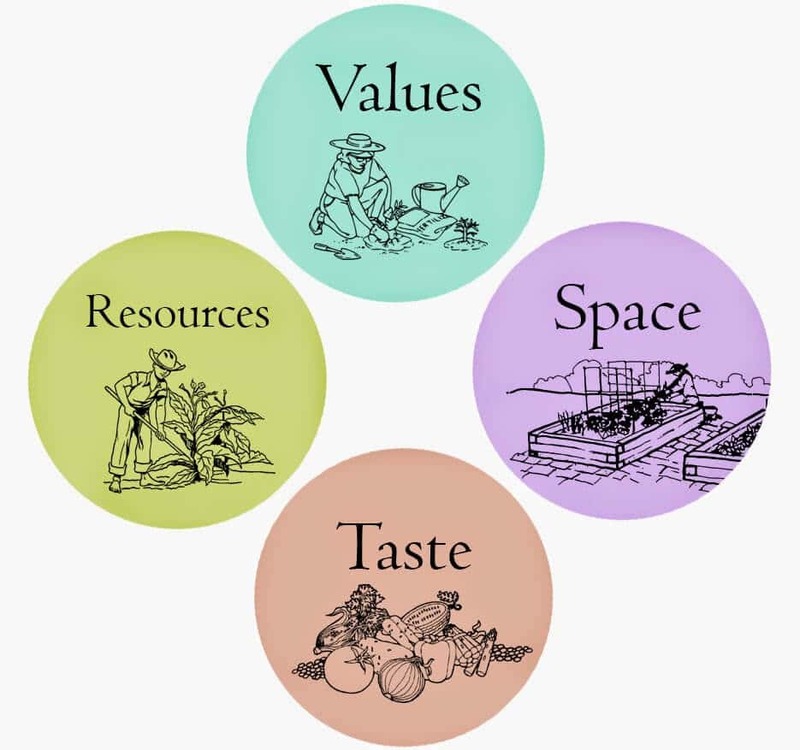 Your answers to Values, Space, Taste, and Resources will guide you in laying the groundwork for your productive garden. The most fundamental question for Values is if you support growing organically or are more comfortable with traditional gardening practices. As an organic grower I’m a biased towards keeping my growing as natural as possible but I have bent the rules on a couple extreme occasions. Educating yourself on the pros and cons of fertilizers, genetically modified seeds and plants, and pesticides (such as slug pellets) will help you to make sound decisions as a gardener. If you choose to grow organic then looking for techniques to naturally deter pests and to feed your plants and soil will be key to your success as a grower. Organic gardeners aim to grow the healthiest produce without the use of chemicals that may be harmful to the soil, wildlife, and environment. One of the most artistic and effective ways of achieving this is to companion plant your crops alongside herbs, flowers, and other plants that help to deter and confuse predatory insects. Some crops grow better alongside other crops and suffer when planted next to bad neighbours. For example, tomatoes love growing with basil and beans aren’t big fans of being near the onion family. Learn more about companion planting from A Healthy Life for me. 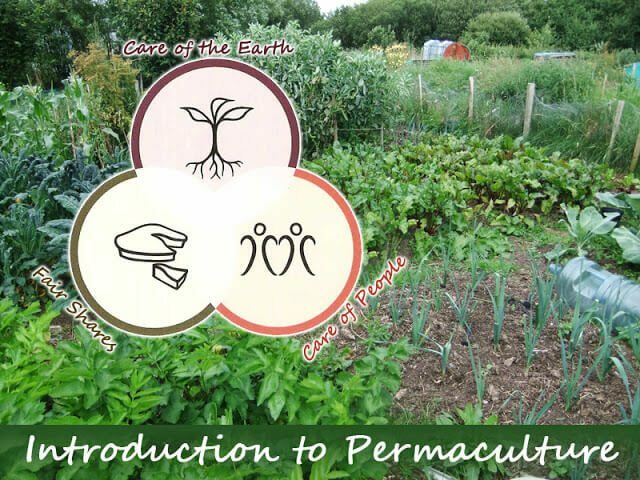 Permaculture has three core values which are ‘Care of the Earth’, ‘Care of People’ and ‘Fair Shares’. These values are expressed by the use of integrated natural and man-made designs that are sensitive to the environment and good for people. 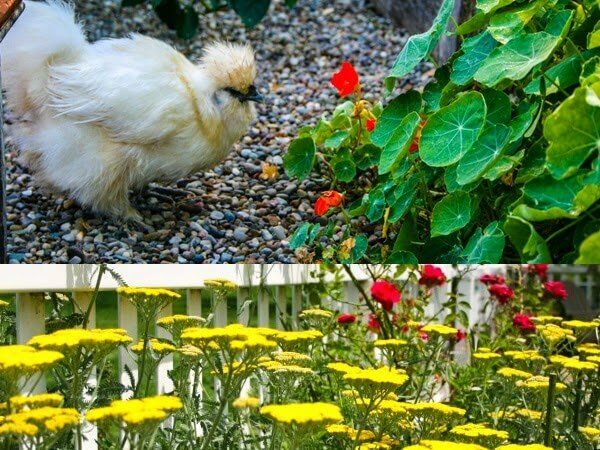 On a gardening level it teaches to garden organically, using animals and local resources to create a natural and low-cost growing space with minimal impact on the earth. 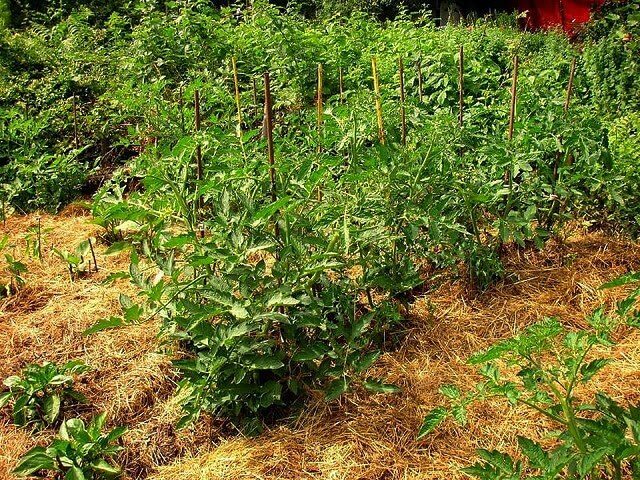 All organic gardening practices can be considered under the umbrella of Permaculture. Some of us are lucky enough to have large and flat south-facing gardens, with rich loam soil, a temperate to warm climate and just enough rain. If a room of experienced gardeners were asked how many had perfect growing conditions there wouldn’t be a single hand raised and yet each of them might have perfected the art of gardening in their own spaces. 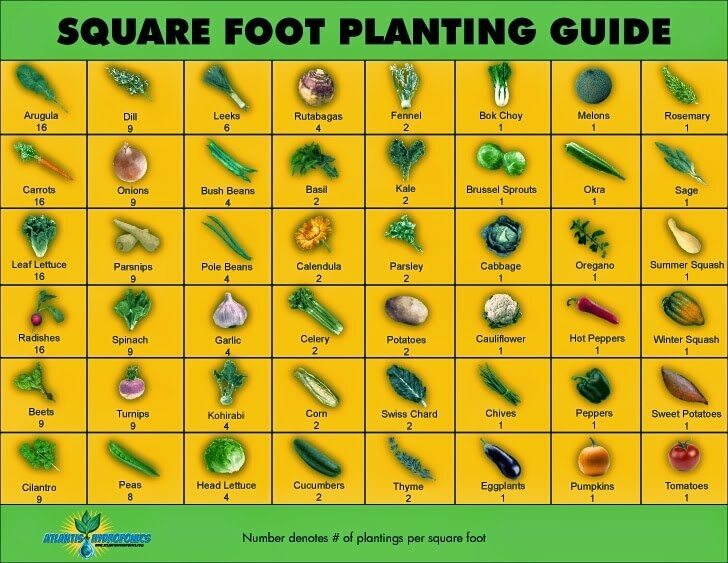 If you only have a small area in which to grow veggies, you might want to consider Square Foot Gardening. Using this method, it’s possible to grow an astonishing amount of veggies in a small space using rich compost, raised beds, and a square foot planting guide like the one above from Garden Therapy and Atlantis Hydroponics. Not everyone has a sunny garden and so looking out the window at the shady little patch in the back might discourage some from trying to grow vegetables. 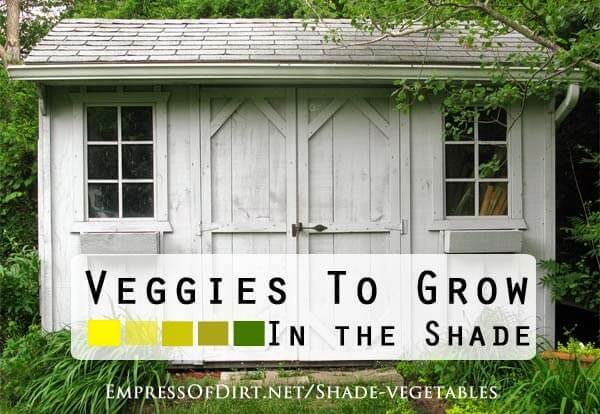 But did you know that some veggies can grow well in full and/or partial shade? The Empress of Dirt comes to the rescue with a list of these forgiving crops as well as how many hours of sunlight a day each needs. 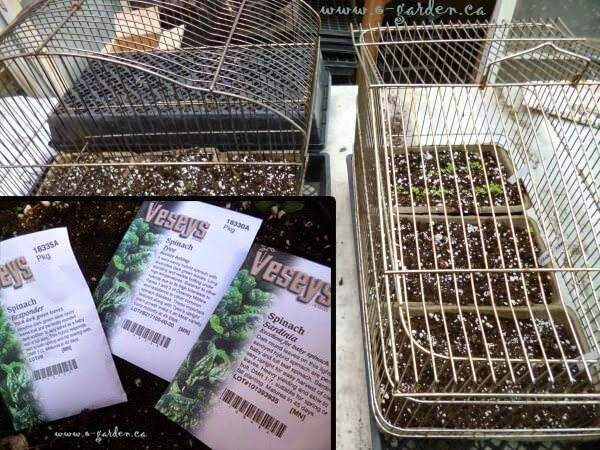 Sowing the first seeds of the year can be fraught with difficulty. The temperature too cold and wet, mice getting into your newly sown seeds, and low light levels. Drought Smart Plants gives us tips on how to get started sowing with seeds and how to ensure that your seedlings get off to the best start in life. Once you’ve sown your seeds and nurtured them until they’ve grown big and strong, it’s time to plant them out in the garden. Sensible Gardening gives some valuable tips on how to move your precious plants out but don’t forget to harden them off a bit too. Hardening off means getting the plants accustomed to the outside air temperature and breezes by placing them outside in the day and moving them back inside the house or greenhouse at night. 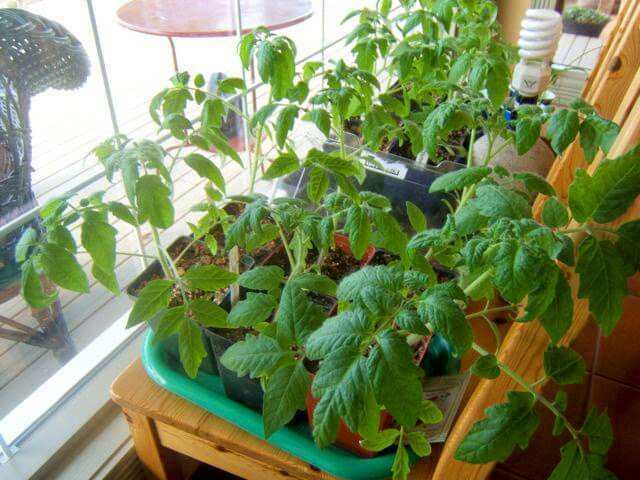 Do this for a week before planting out and your plants will be ready to thrive in the great outdoors. The Gardening Cook has had a lot of gardening challenges recently – everything from pesky squirrels to neighbouring eyesores. As a result she’s had to re-plan her garden using companion planting, perennials, and being selective on which crops she grows. She also used this clever computer application to help visualise her layout. Taste in this sense is not so much personal style but what you actually like to eat! One of the most common mistakes that gardeners make is growing crops that they and their families don’t eat. If your kids bawl at the sight of Brussels Sprouts on their plate or if you get devastating (for your partner!) wind from Sunchokes then you should consider giving them a miss. Needs and quantity of crop is another factor. You might enjoy Beetroot but if you sow five rows and a good proportion of it goes uneaten then you’re wasting valuable growing space. If you’re trying to feed your family with a kitchen garden then you’ll need to consider just how much of each type of crop will be required and how many crops can be harvested in the same space throughout the year. Experimenting with taste is another factor that every gardener should try to do. One of the best parts about growing your own is that you can grow fruits and vegetables that aren’t available in shops. 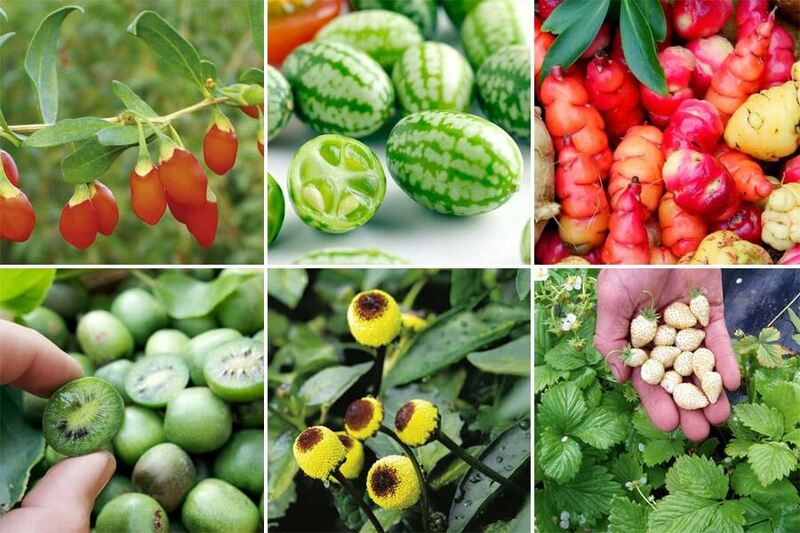 You might end up loving Cucamelons, Cocktail Kiwis, Achochas, and Pineberries but you’ll never know unless you grow them yourself. Check out this post on Incredible Edibles for creative kitchen garden inspiration. Initially the two most important resources to consider are time and money. Both will dictate how you approach all other topics that fall under the ‘Resources’ category – whether it’s choosing gardening tools or creating your own compost. Time and money will guide you on deciding your gardening techniques, the space you use for gardening, and what you end up choosing to grow. Gardening can be as expensive or as inexpensive a pursuit as you make it. If you want to save and still produce a fantastic harvest, these tips from A Woman of the Soil can help you make the most of gardening on a budget. 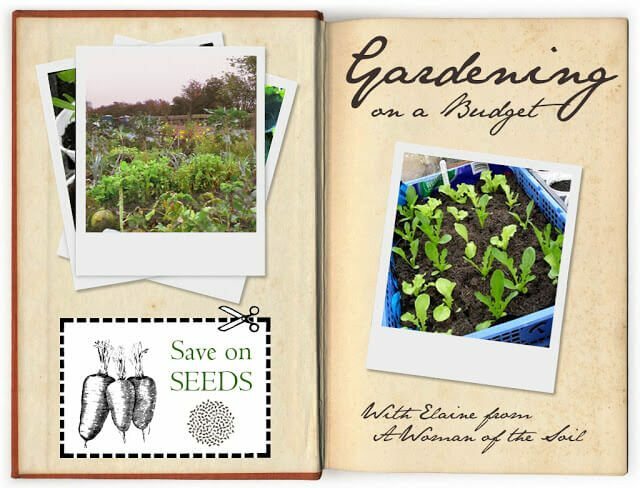 Purchasing budget seeds, saving rainwater, making your own garden compost, and sowing in modules will all save your pocketbook added expense. If you want to save time on weeding and watering, one of the best things you can do is mulch the soil around your plants. What this means is placing a layer of organic material, such as straw, grass clippings, or sterile mushroom compost, around your plants. The material suppresses weeds, helps the soil to retain water, reduces erosion, and saves you on labour. 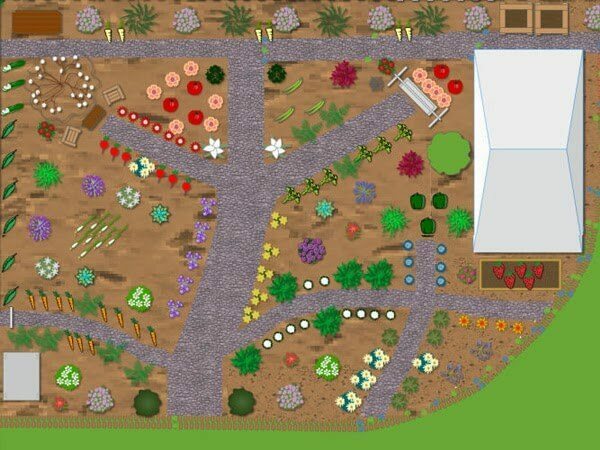 Considering values, space, taste, and resources when planning a garden will help gardeners of all skill levels in growing a productive garden. Each category serves as a starting point from which both logical and creative decisions can be made in deciding your direction and adding to your gardening know-how. For more gardening tips please follow this blog and visit the Garden Charmers on our facebook page. Gardening is a part of our passion and profession; in most of the country we have found that people loves to do gardening but due to lack of proper knowledge on gardening they are suffering from different problems. 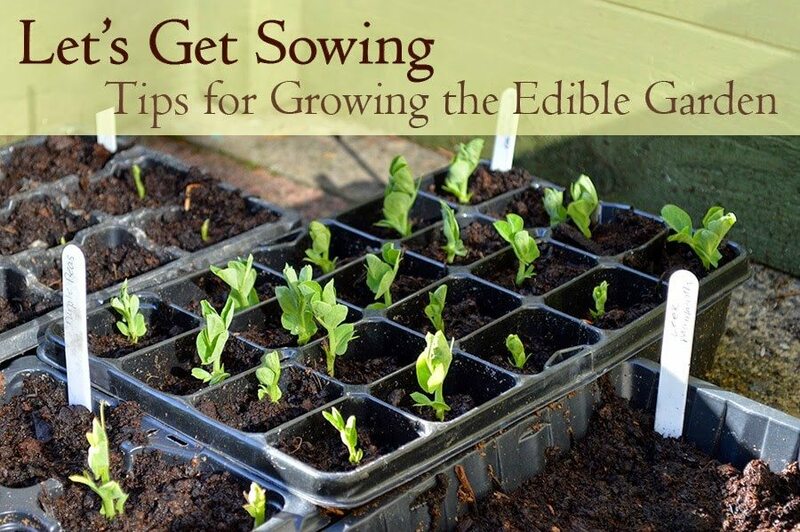 Therefore we need proper tips on how to grow an edible garden and I hope with the help of these tips provided in this article we are able to grow an edible garden. Amazing tips and ideas! I love this post! Thank you for sharing! Wow, so many resources in one post! I'm leaving here with three more posts to read. Toilet rolls are one of my favourite 'planters' for peas. They're like cheap and biodegradable root trainers. 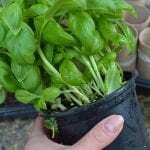 A fabulous post with lots and lots of info – my seedlings are just popping the heads up out of their soil filled toilet roll beds. Lots of great resources! Beginner gardeners are so fortunate these days to have so much info at their fingertips. PS: I love the photo of the white chook. 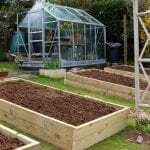 Great post Tanya, full of information for the Backyard Gardener.